Escape from the hot sun and get into a real paradise. Plants and beautiful flowers around you, in a wonderful and peace-ful garden. Offers breakfast, fresh juices, sandwiches, toasts, pizzas and lots more! Refresh with a drink or a cold beer, listening to the birds singing..
We welcome you to your home away from home ! 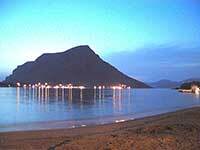 If you like to travel to Kalymnos without an agency, please contact us at any time for room reservations. We will be open from April to November. The ideal place to spend your evening! Enjoy some of the most tasteful and extraordinary cocktails on the island in a way you will not forget! We are close to various climbing sectors, and are happy to provide help with bike rentals or other relevant info to rock-climbers ! Climbing info from Climber's Nest! 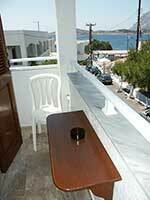 Enjoy your holidays in Kalymnos, by staying in one of Nefeli's renovated studios. Peaceful, convenient and comfortable rooms with kitchen, kettle, WC, full air-conditioning, hair dryer, mini-safes, shower and balcony. Located 50m from Myrties beach and close to the main beaches of Massouri and Melitsahas. Lots of restaurants and mini markets near-by, as well as the bus stop and taxis. Satellite TV and Wi-Fi is available for you at the bar.